Recently I saw these two books listed on Netgalley. I didn't realise at the time that they are quite short stories aimed at reluctant readers. I requested them because both Anthony McGowan and Theresa Breslin are both UKYA authors. And while there was a significant delay between downloading them onto my Kindle and reading them, I can definitely see the appeal of these books. While personally I do prefer a longer, more in-depth story, I thought both of these books were able to put across everything they needed in the short amount of space that they had. 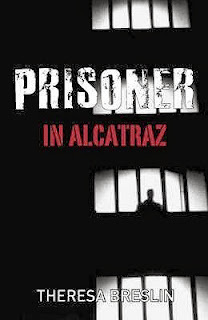 Prisoner in Alcatraz by Theresa Breslin is the story of Marty, a young man who has been sent to Alcatraz, the famous prison off the coast of San Francisco in which famous gangsters like Al Capone went to back in the day. I found it really interesting to read of Marty's experiences that led him to become a prisoner in Alcatraz. It really felt like a series of really unlucky choices that led Marty into the criminal life. And those bad choices continue within the walls of Alcatraz prison as Marty is conned into helping with a prison escape. I really enjoyed this story. I've visited Alcatraz and seen the conditions that the prisoners dealt with and also noted the distance between where Alcatraz sits on this rock in the San Francisco bay and how far a prisoner would have to travel to get to land. And yet I was on the edge of my seat watching this attempt at escape play out. What I really liked about Prisoner in Alcatraz is that it seems to highlight the different every day choices that everyone has and the consequences of those actions. Marty's story moved pretty quickly, there was plenty of action to engage readers and by the end I was generally interested in Marty's story and what would become of him. He made some poor choices in life, but my heart went out to him. Very interesting story! 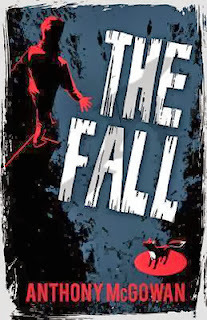 The Fall by Anthony McGowan is another story that had unexpected depth to it. Our main character, Mog, has recently heard news of an old school friend and tells us this story of two specific incidents involving a group of friends that he had growing up. I think The Fall can at times be a little bit harsh to read. The tone of the book and the writing style are both pretty bleak. This group of boys attend a school that has known better times and bullying and other anti-social behaviour seems to be rife. This is a story in which none of the characters are very likeable and you can hardly say you 'enjoyed' the story when it's finished. But I did still find it interesting. I think the main concept behind this story is the loss of innocence. In both of the incidents that occur, something beautiful or innocent seems to be destroyed. There is quite an obvious connection between a fox and a bullied boy within this story and I think conversations can be had about the meaning of the title and about Mog's reasons for doing what he did. It certainly made me stop and think.